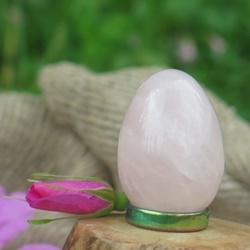 The Rose Quartz Yoni Egg is pink in colour and often referred to as the ‘love stone’ because it carries a soft feminine energy of compassion, love & peace. 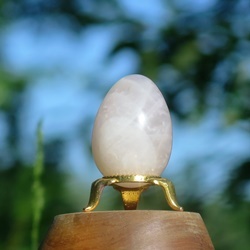 The Rose Quartz Yoni Egg is pink in colour and often referred to as the ‘love stone’ because it carries a soft feminine energy of compassion, love & peace. There is a gentleness and tenderness to the energy of this stone. It is very comforting and healing for you when you use it. The Rose Quartz amplifies your sense of self love and self worth. 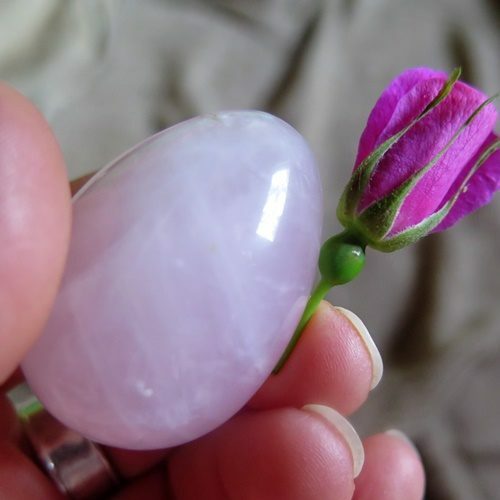 It is best to use your Rose Quartz Love Stone after you have practised with your Jade Egg. The Rose Quartz emits a very calming and cooling energy which gently clears negativity from the physical body as well as the emotional body. It reinstates the loving, gentle forces of self-love. Rose Quartz also heals emotional wounds and helps to restore harmony. It is also known to rejuvenate the skin, prevent wrinkles as well as improve your complexion! 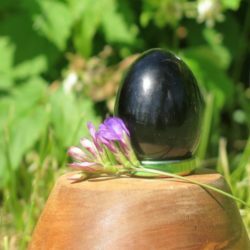 The best time to use your Rose Quartz Yoni Egg is during the full moon or just after your menstrual cycle. NEVER immerse your Rose Quartz Yoni Egg in boiling water as it will crack. Just wash it gently with warm water and a drop of tea tree or lavender oil. 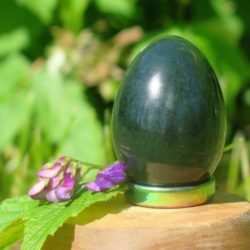 If you are already in menopause like me, I use my Rose Quartz Yoni Egg when I feel that I need some tender soft and gentle loving energy as well as during the full moon. I find its energy very calming and soothing.